You’ll be met on arrival at Auckland airport and transferred to your hotel – the remainder of the day is yours to spend at leisure, before a welcome drink in the evening with your tour guide and group. 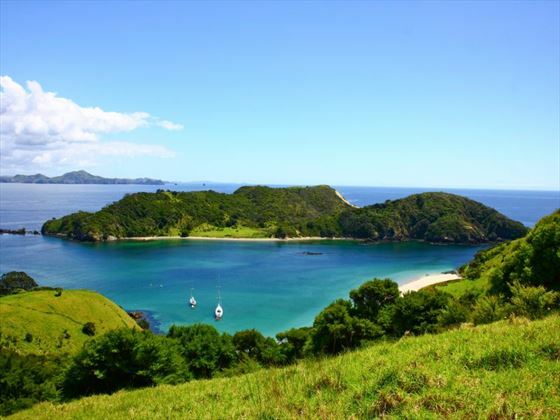 Leave Auckland today and travel along the Hibiscus Coast to the beautiful Bay of Islands, where you’ll take a scenic cruise through the game fishing waters to Cape Brett and the famous Hole in the Rock formation (weather permitting). The return cruise to Paihia ventures between the picturesque islands, so be sure to keep a look out for the tropical marine life living in the secluded bays. On day 3, enjoy some free time in this breath-taking region, by dolphin-watching, catching a ferry to Russell or driving along the Ninety Mile Beach. In the morning, you’ll have the opportunity to visit the Waitangi Treaty Reserve – a place of huge historical significance where the founding document of New Zealand, the Treaty of Waitangi, was signed. Explore the reserve and take in the sights of the Maori War Canoe and Meeting House, before enjoying the beautiful farmland scenery on your way back to Auckland in the afternoon. 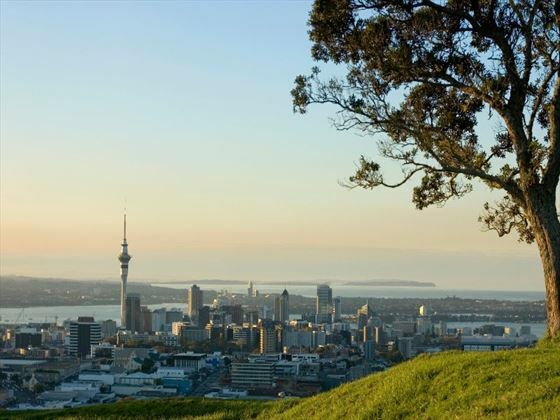 Take part in an Auckland city sights tour then trace the Waikato River to Waitomo Caves. 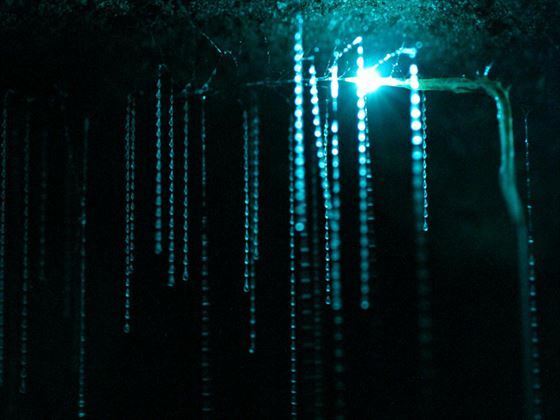 You’ll tour the amazing Glow Worm Grotto before arriving in Rotorua for an orientation tour. In the evening, enjoy a traditional Maori Hangi feat and a concert at the Tamaki Family Marae. 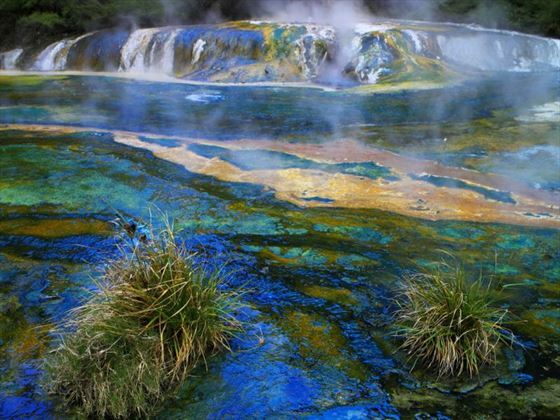 Today you’ll visit the Agrodome Sheep Show then enjoy an afternoon of leisure time, where you could visit Rainbow Springs or Te Puia, where a local Maori will guide you through the geothermal valley with its mud pools and geysers. Tonight there is an opportunity to stay overnight at a local farm to experience New Zealand farm hospitality first hand. This must be requested at the time of booking; an additional cost will apply and includes dinner. Today you’ll view the Huka Falls and visit Taupo, driving along the shores of its namesake lake. You’ll discover the beautiful alpine scenery of Mt Ruapehu, Tongariro National Park and the picturesque dairy farms of Manawatu. 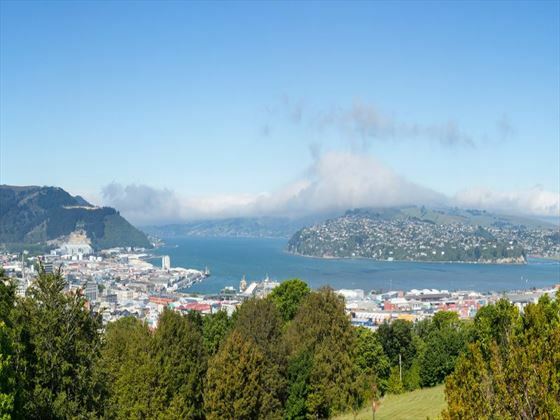 Travel along the Kapiti Coast to arrive into Wellington where you’ll embark on a city tour. 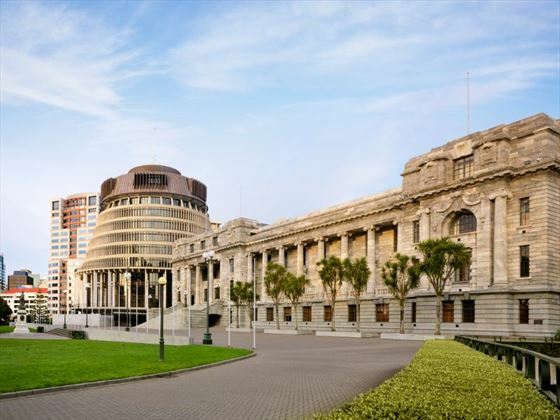 Spend a morning exploring at your own pace then follow up this free timer with a visit to Te Papa – the Museum of New Zealand. From here, cruise Queen Charlotte Sound and later travel to the seaside village of Picton for your overnight stay. Visit the New Zealand fur seals at Ohau Point and watch the whales at Kaikoura (an optional scenic whale watching flight is also available). From here, travel across the colourful Canterbury Plains to Christchurch. 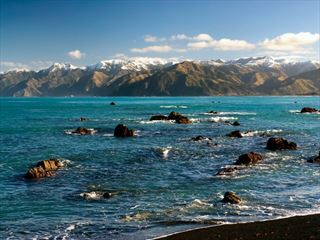 Enjoy a laid-back start to the day in Christchurch before visiting Lakes Tekapo and Pukaki. Afterwards, you’ll visit the Church of the Good Shepherd and admire the beautiful alpine scenery of Mt Cook National Park, with an optional scenic flight over the landmark (weather permitting). Begin your day along the Waitaki River with the Waitaki Hydro Power Scheme and Benmore Dam. You’ll travel through Oamaru, which is famous for white limestone buildings, and onwards to Dunedin for a tour of the city. 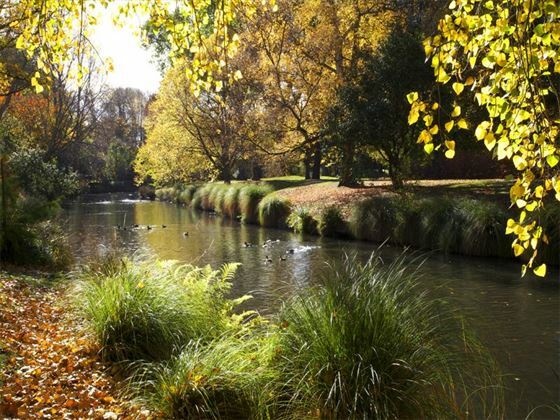 In the afternoon, explore at your own pace, perhaps with a wildlife cruise, a visit to the Cadbury Chocolate Factory or a ride along the historic Taieri Gorge Railway. After a free morning, cross the sheep-filled farmlands to the South Island’s biggest lake and the town of Te Anau. There is an optional glow worm caves tour in the evening. 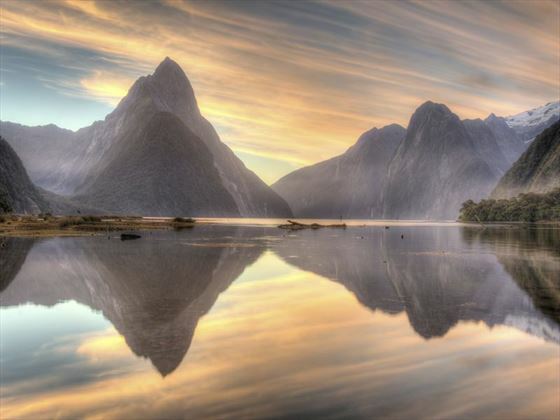 Make your way from Fiordland National Park to Milford Sound today where you will embark on a cruise along this natural wonder. Along the way you’ll see Mirror Lake, the Chasm, Mitre Peak, Bowen Falls and Cleddau Valley. 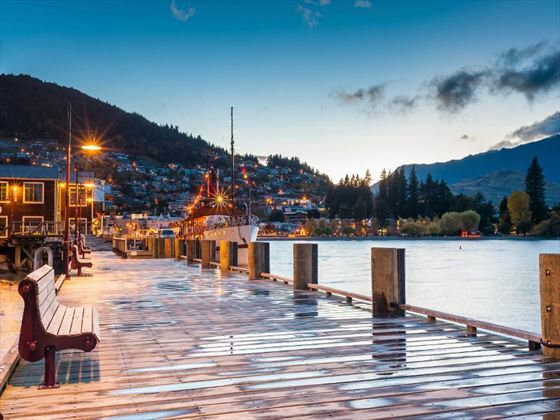 Travel along the Devil’s Staircase and the beautiful shores of the Lake Wakatipu, then embark on an orientation tour of Queenstown upon arrival into this amazing location. This will be followed by a lovely dinner with accompanying views of Lake Wakatipu and the Remarkables. Spend the day enjoying Queenstown your way, with many activities to tempt you – try a wine or garden tour, take a jet boat ride or go white water rafting. In the evening, take a cruise across Lake Wakatipu on the oldest steamboat in New Zealand – the TSS Earnslaw. 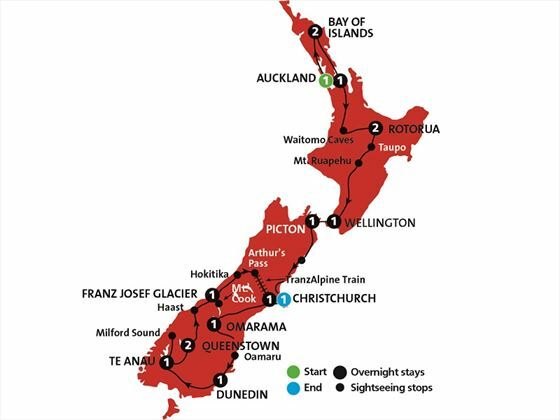 This will take you to Walter Peak Station for a carvery dinner at the Colonel’s Homestead. Enjoy an entertaining after dinner farm show which provides a glimpse of life on a country farm before taking a cruise back to Queenstown. Begin today with a trip to Arrowtown then stop off at Cromwell, renowned for being a great stone fruit producer. 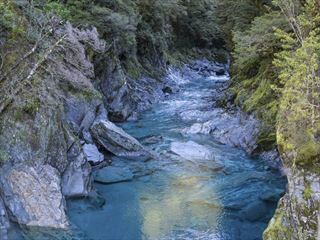 Visit a trip of vast and picturesque lakes – Dunstan, Hawea and Wanaka – then travel through Haast Pass to view Thunder Creek Falls and take a rainforest walk. 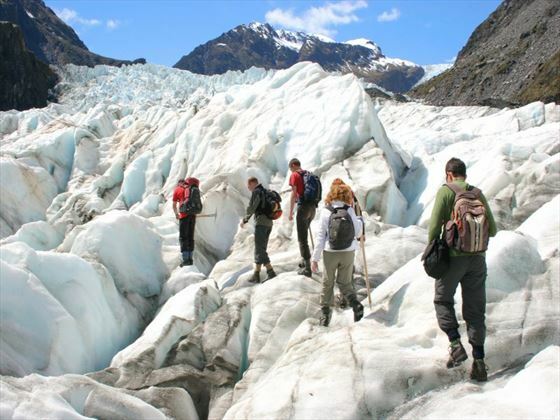 The final stop is Franz Josef Glacier – a rare and advancing glacier that’s well worth seeing. There is also an optional scenic flight which can be booked locally. Visit Hikitika today – home of the native greenstone (Jade) for a factory visit and a jewellery demonstration. You’ll travel through Greymouth, which is the largest town on the West Coast, to Arthur’s Pass to board the TranzAlpine which is one of the top six train journeys in the world. This is a fantastic journey through the spectacular Southern Alps and across the Canterbury Plains en-route to Christchurch. In the evening, enjoy a farewell dinner with your group and tour guide. Your tour comes to an end today – transfer to Christchurch Airport. 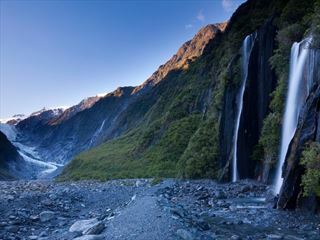 A 30-day journey that will captivate and inspire you - this in-depth journey through New Zealand offers a great opportunity to explore the wonders of this amazing country.